By A Contributor: Straight to the point: Within 21 days Gambians have witnessed two acts of lawlessness in Kanilai by folks who have shown their determination to stand against the verdict and sovereignty of Gambians. While it has been reported that the Interior Minister said the latest incident was as a result of miscommunication, yet I do not buy that narrative. This is because one would expect that Gambian soldiers would by now be able to recognize ECOMIG forces. Our soldiers must know that ECOMIG forces are not adversaries. Hence if ECOMIG forces should show up in Kanilai at anytime, one would expect that a simple phone call by our soldiers to GAF headquarters would suffice. Why can’t ECOMIG also make a simple call to their command or GAF headquarters to obtain access? But to allow such an encounter to deteriorate into live firing tells me something is not right. This incident could have been a bloodbath! As a citizen therefore I take this incident with great concern. Are there civilians and soldiers still loyal to Yaya Jammeh as president of the Gambia? If that is the case I therefore see their actions as purely aimed at directly injuring my voice and sovereignty after the December 1 election. I see it as an act directly aimed at aiding and abetting a brutal tyranny in our homeland. I see it as an act that completely disregards the destruction of the lives of Gambians at the hands of a brutal regime. That is unacceptable. Therefore it is high time the government takes effective control of the country in order to forestall a violent crisis that we avoided in December. 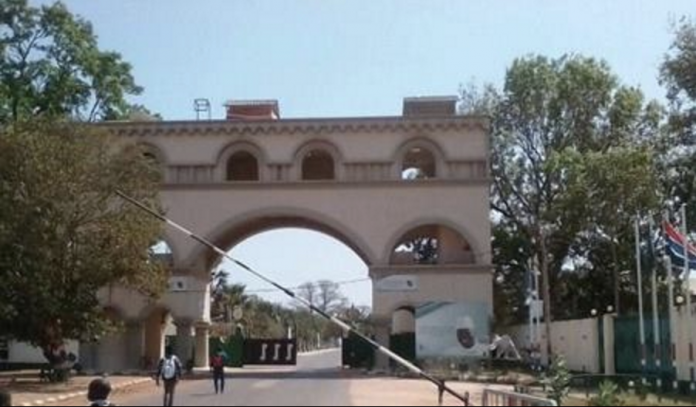 This means also effectively putting all Yaya Jammeh properties under state custody. The reason why the nine NIA officers were arrested and charged for murder is the same reason why all properties under the name of Yaya Jammeh, Kanilai Farms and KGI must be confiscated by the State until a proper judicial determination is done. The murders and tortures and the huge amount of wealth amassed by Yaya Jammeh were illegal and cannot be ignored. This is also why bodies are being exhumed and political prisoners being released. All these actions speak to one fundamental fact. 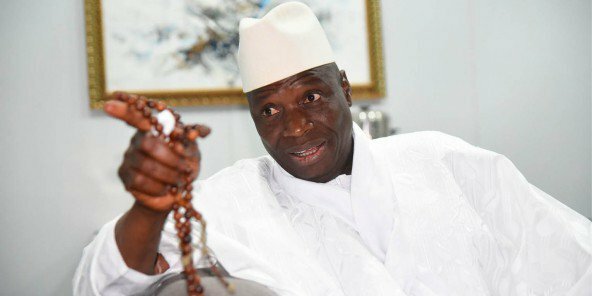 That fundamental fact is that Yaya Jammeh was acting outside of the law in ruling the Gambia hence his abuse of power and the uncontrolled and widespread acquisition of various properties including the Kanilai palace and ranch. These are all acts of corruption that cannot be ignored. Hence Chief Servant Adama Barrow and no Gambian for that matter must be in any illusion that for the purpose of national security and cohesion, Yaya Jammeh properties must be put under the firm control of the State at the first instance. In that regard ECOMIG forces must be used to secure these properties while Gambian soldiers are withdrawn. Instead what we need is to have the Gambia Armed Forces undergo a thorough audit. It is clear that our armed forces was severely compromised and corrupted by Yaya Jammeh. Through unnecessary and illegal recruitment and underserved promotions and personal control of the army, Yaya Jammeh had succeeded in negatively politicizing the military and turning it into a public enemy. Hence in building the new Gambia, it would also require cleansing and restructuring the army entirely. Sacred military values, standards and form must be injected back into the Gambia Armed Forces to make it a truly national, professional and depoliticized military. But before that, the government must use ECOMIG for strategic functions. The Government needs to make it clear to those who wish to deny to know that the Gambia was supposed to be a democratic dispensation since 1997 when the constitution came into force. Yet for 20 years, Yaya Jammeh and APRC bastardised that constitution to their satisfaction. 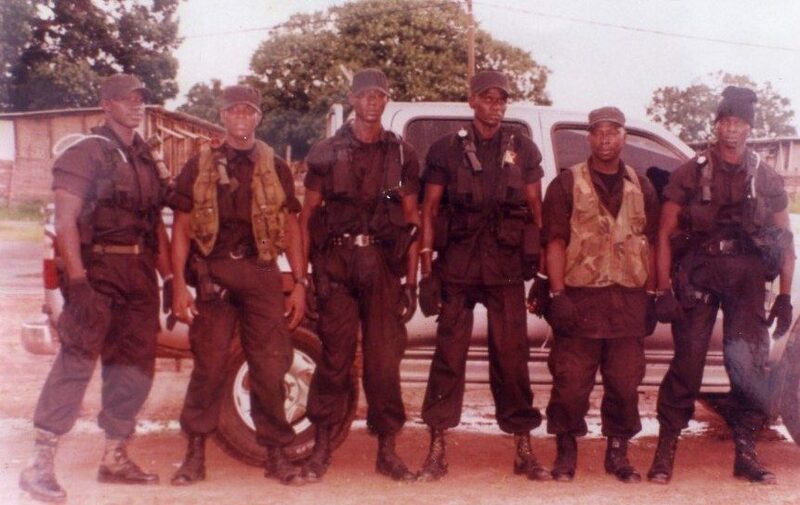 They subjected Gambians to direct physical harm and wanton plunder of our resources in total contravention of the constitution and the norms of democracy. Therefore when we went to elections on December 1 and the people spoke, it is a legal obligation on all Gambians to respect that decision. Any attempt to engage in physical activity aimed at denying that verdict constitutes treason because it means such a person is now seeking to subvert the will of the people thereby aiming to overthrow a democratically elected government. Thus the government must let all civilians and security personnel understand that much as one has a right to support any party and politician, yet no one has the right to violently reject the will of the citizenry in which they chose their government. The actions of those civilians and soldiers in Kanilai so far constitute a serious crime for which there is need for government action. For that matter, ECOMIG forces must be deployed to secure that compound as well as all other Yaya Jammeh properties until the law decides on their fate. While it is commendable that the Interior Minister is engaged in mediation efforts in our communities especially in Foni, however acts of politically instigated lawlessness as we have seen in Foni, Talinding, and Jimara and elsewhere must not be tolerated. The full force of the law must be deployed to bring perpetrators to book. While everyone has a right to peacefully oppose the government and criticize the president, yet no one has the right to overthrow the will of Gambians as expressed in an election. Therefore Pres. Barrow must exert effective control.